We Love To Work & We Love Our Work. Click on the image below to take a virtual tour of Nortech's headquarters. Click on the white arrows to see more. Move your mouse to get a 360 degree view. 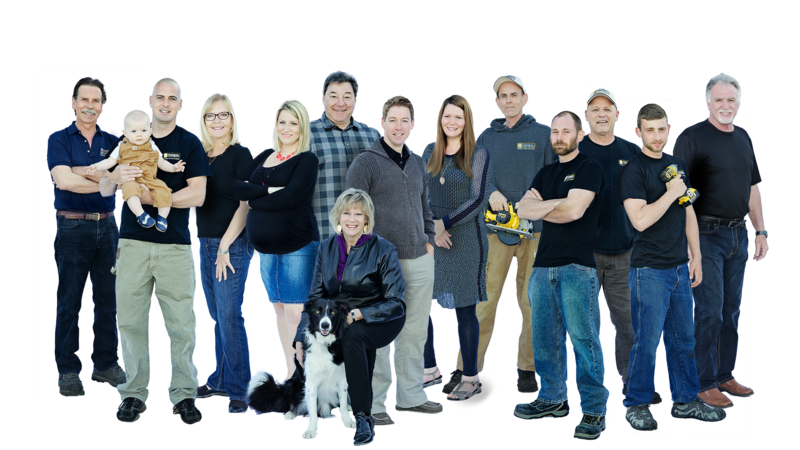 Nortech Home Improvements is a family owned and operated business established in 1997. We have been in the Window, Door and Sunroom business for 18 years proudly servicing the Kawartha Lakes, Peterborough & Haliburton regions. Since the majority of our business comes from repeat customers and referrals, we pay a lot of attention to detail to ensure our customers have an excellent Home Improvement experience. Whether it be Windows, Doors, Sunrooms or Porch Enclosures, our goal is to provide the very best products and the very best in customer service. Our Factory Trained Installation Technicians specialize in Window, Door and Sunroom Design and Installation, enabling Nortech Home Improvements to maintain the highest standards of quality. At Nortech our goal is to make you happy and satisfied with both our products and the installation work that is involved. We offer NO OBLIGATION, FREE in-home consultation by appointment or clients can stop into our Showroom to see our quality Window, Door and Sunroom products. We believe in family first and at Nortech the members of our community are just that, FAMILY! With that idea in mind we make a point of being involved in many local organizations and fundraisers all year round. If your local community group/organization is looking for sponsorship we would love to help. Please submit all requests to info@nortechwindows.com between January - March each year for consideration.